Funcom, the developer of the open-world survival game Conan Exiles, has released trailer that shows what you needs to survive in the unsafe world. This includes food and water but also protection from the elements. Sandstorms can mean your death if you are not hiding or wearing special clothes. Without effective weapons and armor, you should not venture too far into the wilderness. In addition, you must always learn something to improve. In addition to dangerous creatures, other players also create threat. If you are on a PvP server, you can attack other players at any time. It is even possible for fellow players to put your home in ruins when you are not there. Therefore, slaves play an important role. Because they protect your home while you are on the road. 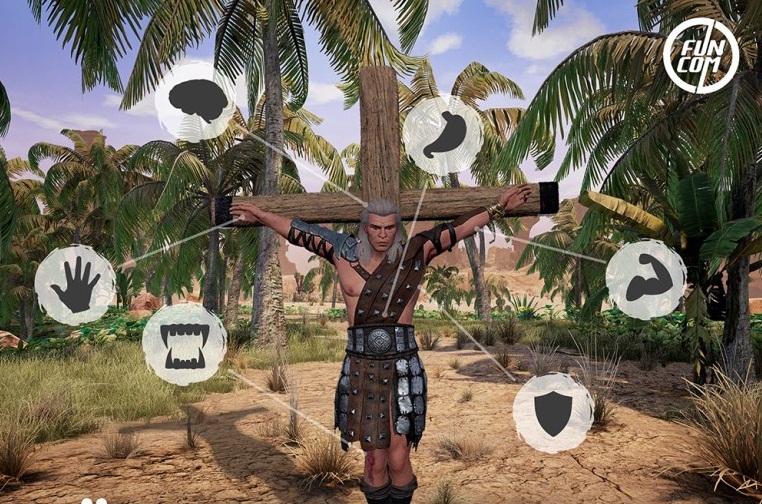 Asked if it is imperative to keep slaves, the developers explained that one would consider whether there would be NPCs, which voluntarily serve the player. However, for early access one should first concentrate on the slaves. In the game, you will have trouble staying alive because the dangers are countless. Any trip to an unknown area can mean your end. Therefore, it is always advisable to get together with other players. For example, if you want to explore ancient ruins where dangerous monsters live then you have to work together with other players and you can also create entire cities that are better protected than single houses. Conan Exiles will be available for Early Access on January 31, 2017 on PC. On Xbox One you have to be patient until the spring and owners of a PlayStation 4 will not benefit from the pre-release.